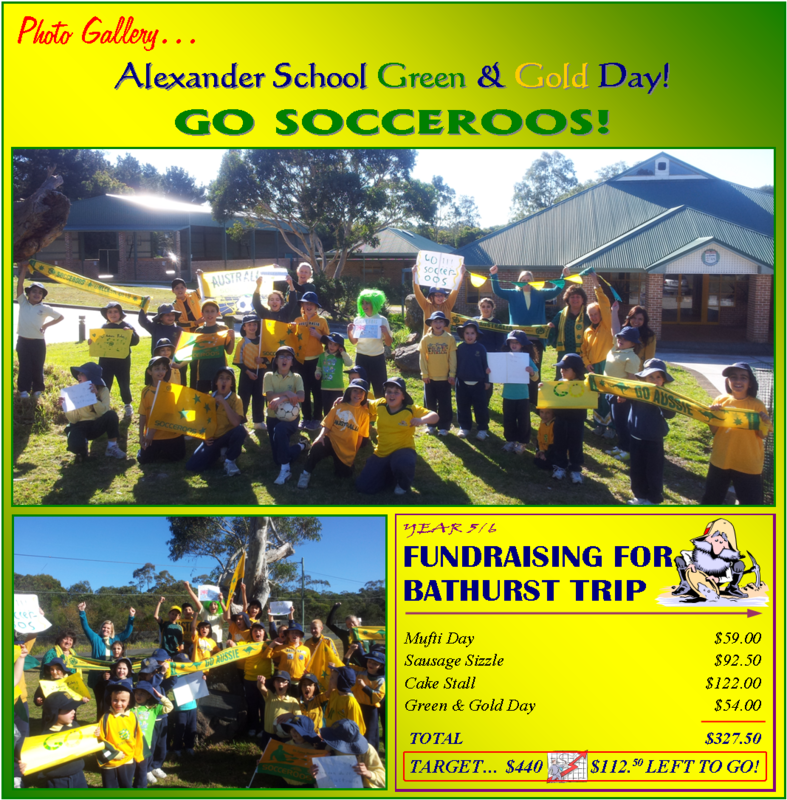 AGBU Alexander Primary School - Blog: WE CHEERED FOR THE SOCCEROOS! On Tuesday 18 June 2013, our children turned out magnificently in Green and Gold to cheer on the Socceroos in their match against Iraq. They all looked cheerful and bright and there certainly had been a lot of care and consideration put into turning out in the National Colours. We had banners and signs in support of the Socceroos and even tried to gain the support of passers by! Well done everyone for a splendid effort. We believe it was our cheering and support that got the Socceroos to win and qualify for the World Cup Finals to be held in Brazil next year.